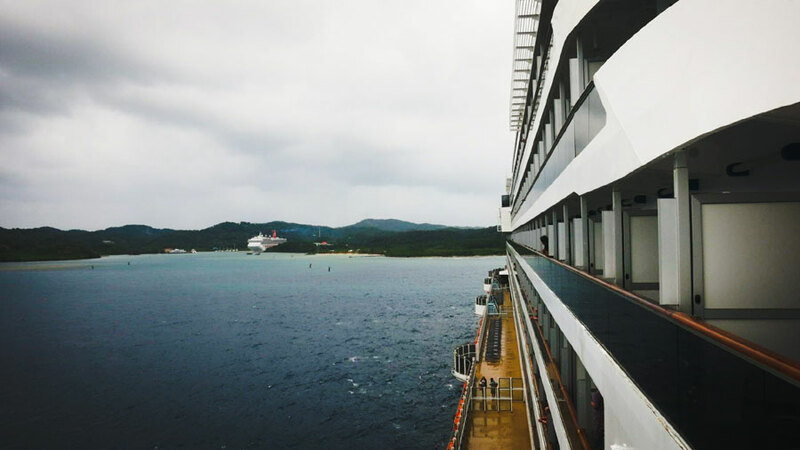 According to a survey by Allianz Global Assistance, the majority of travelers think that cruise ships are unable to cope with any major serious medical emergencies. It was also found that cruise insurance is even more important than ever before. In a new survey from travel insurance provider Allianz Global Assistance, reveals that a majority of Americans (55.5 percent) do not feel cruise ships are equipped to handle serious medical emergencies. This is a significant change (15% difference) from last year’s results, which found 60 percent (59.2 percent) of Americans believed cruise ships could handle medical emergencies. The survey was conducted during the height of Wave Season, which is a three-month period from January to March, when cruise lines and travel agents book a large number of cruise cabins. When asked for their estimate of the cost of an air ambulance evacuation to the U.S. from Mexico or the Caribbean, a quarter of respondents (25.7%) drastically underestimated the cost at $0 to $10,000. Another quarter of respondents correctly estimated cost as coming in between $10,001 and $20,000. Among other findings, 38% of consumers surveyed thought that travel insurance is more important when booking a cruise than it is for other types of travel. The survey also found that more than two-thirds of respondents (68.2 percent) would prefer to spend all or most of their time exploring their destination instead of staying aboard the cruise ship, a slight increase from last year (65.6 percent). However, safety concerns with the destination were still the top reason (35.7 percent) cruisers would be hesitant to disembark at port. Other reasons include disinterest in the destination (18.4 percent), fear of not getting back on the ship in time (14.1 percent), previously having visited the destination (11.4 percent), taking advantage of the all-inclusive food and drinks on board (9.7 percent), not having pre-booked an off-board activity (7 percent) and lack of Internet/mobile connectivity (3.7 percent). Allianz’s wave season survey also analyzed trends such as themed cruises, finding that more than a quarter of respondents (31.5 percent) were not interested in food, pop culture or music-themed cruises. Fewer respondents are interested in adventure or expedition cruises to places like Alaska over sunny, beach destinations compared to last year (43.8 percent, down from 48.9 percent). Almost three quarters (74.2 percent) of those surveyed expressed interest in river cruises over ocean cruises thanks to more scenic routes (21.5 percent), lack of waves (13.5 percent), easier disembarking (13.4 percent), smaller ship sizes (12.2 percent), shore excursions being included in the price (9.8 percent), and socializing opportunities (3.8 percent). Only 25.8 percent shared that despite the unique attributes of a river cruise, they would still prefer ocean cruising. Allianz Global Assistance offers travel insurance through most major U.S. airlines, leading travel agents, online travel agencies, other travel suppliers and directly to consumers. The 10 question survey was administered to the U.S. The question ran from February 23, 2018, through February 25, 2018, and received 1,554 responses.